Price Improvement. Location! Location! The most magnificent mountain and golf course views in the development. Alta Verde's Reflection model is west facing on the 11th fairway. 3 bedrooms plus a separate casita, 3 1/2 baths, pool, spa, fire pit, interior and exterior sound system, sleek modern kitchen open to adjacent living room with fireplace. 2 guest bedrooms share a bath, private master suite overlooking the pool, spa and one of a kind majestic views. A private patio between the living area and guest house offers a relaxing escape. 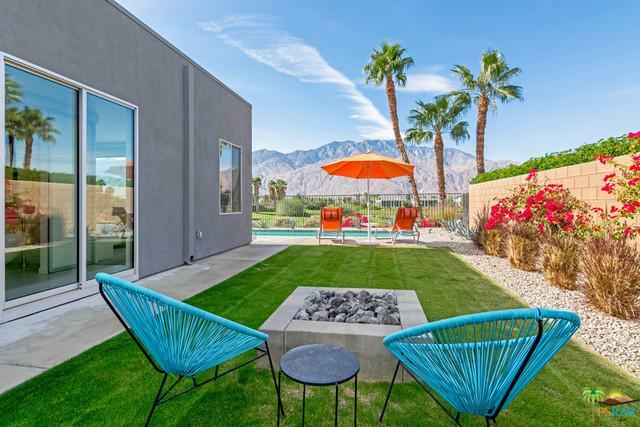 The property is complete with desert landscape a roomy side yard and owned solar system. Pristine condition, as Sellers used this property only a couple of weeks each year. The designer furnishing art and accessories are available separate. Low HOA dues and on land that you own. Listing provided courtesy of Louise Hampton Team of Berkshire Hathaway Homeservice.